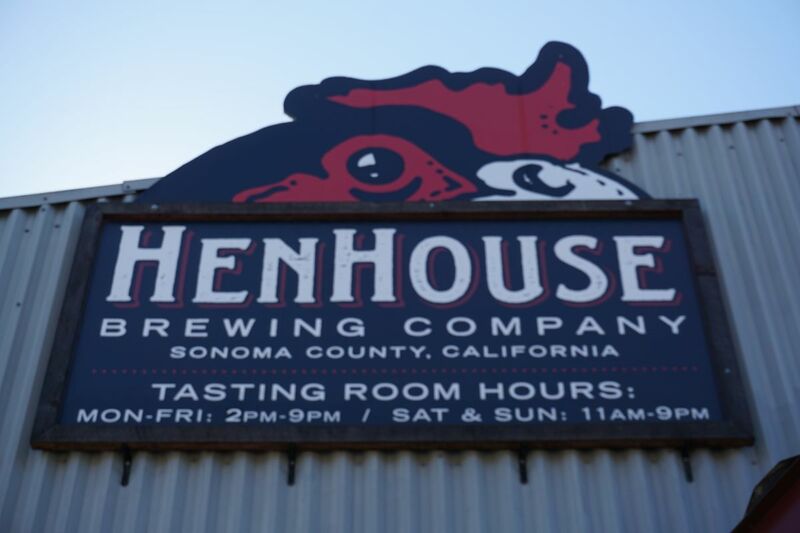 Henhouse Brewery was our first stop on our second day. 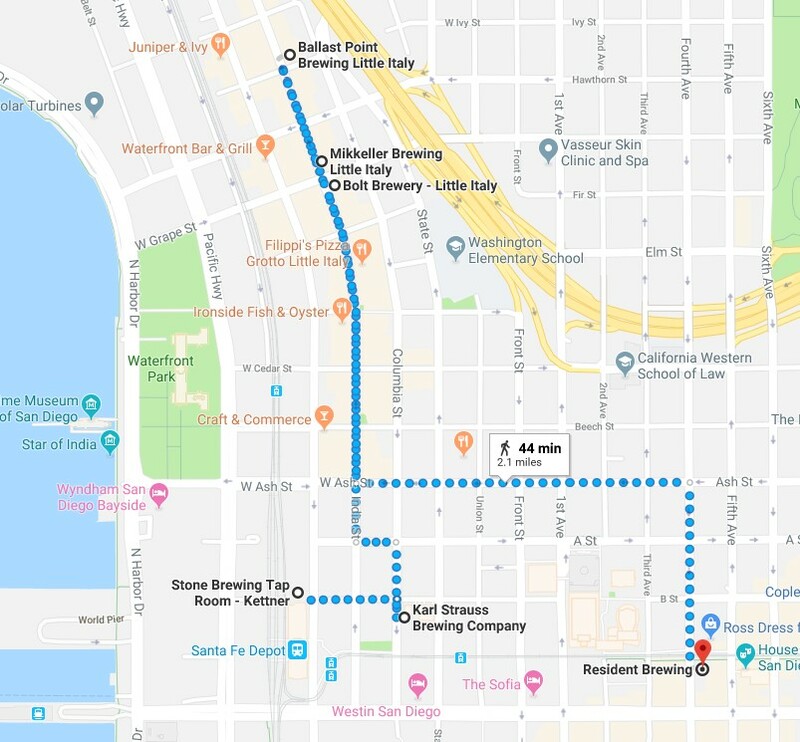 After visiting the main brewery location, I was told that they have a sour brewery location elsewhere although this is only a review of the main brewery location. They have a large building which has a decent amount of indoor seating and fairly large outdoor seating area. 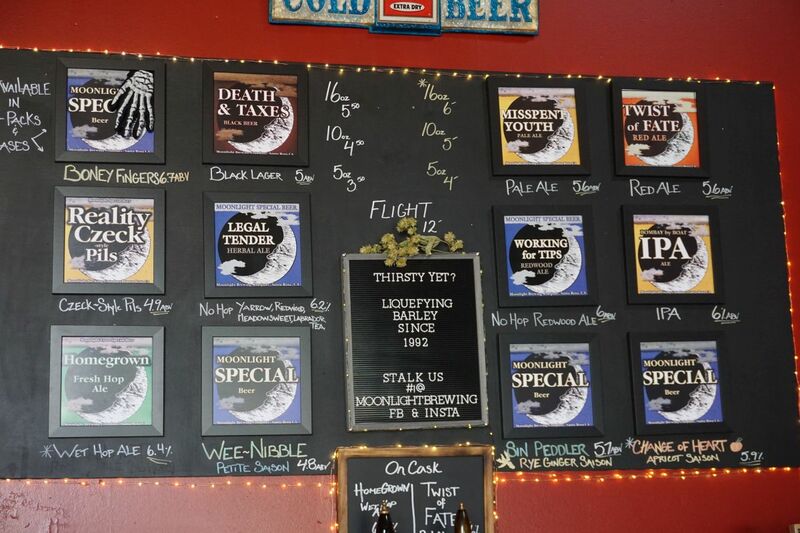 Like other breweries in the area, pints were a better deal than tasters so that is what I stuck to here and elsewhere. I started with their house saison which was super dry with lingering notes of black pepper, mild bitterness, and hints of pear. After that I ordered their beer titled independent AF IPA. The beer was hazy thanks to the addition of wheat malt. It was hazy in appearance but not particularly juicy. The beer had tons of hop aroma with notes of papaya and an herbal bitter finish. I left with cans and they have been enjoyable once I returned home. 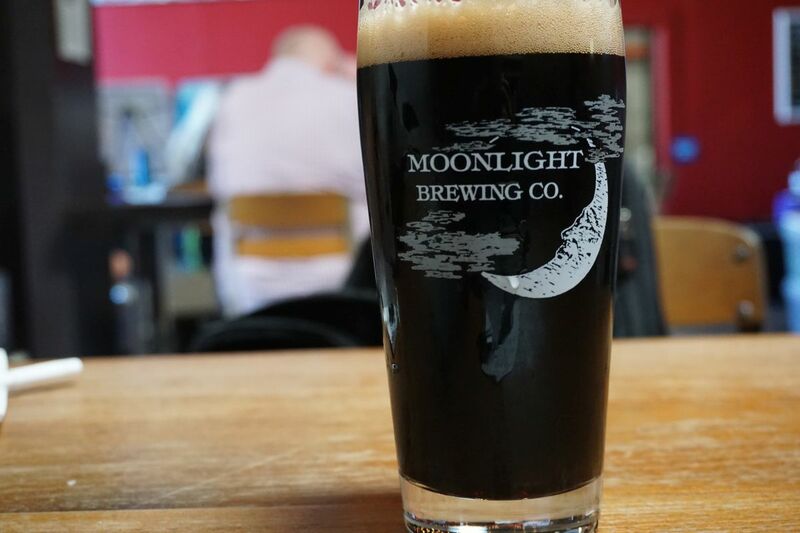 Moonlight is known primarily for their dark lager titled death and taxes. It was strangely cold in their tasting room when we stopped by and there was also a painting class going on so we didn’t stay too long although the few beers that I had were quite excellent. I started with their Pilsner which was nice and traditional, classic and dry with notes of hay and overall easy drinking. The beer is served as a full half liter. I had tried their death and taxes beer before so when I saw that they had a beer called boney fingers, a slightly stronger version they make for Halloween, I ordered that immediately. The beer was roasting and mildly smoky with notes of dark chocolate and perfectly balanced. I grabbed a four pack before I left and am glad I did because the two I have opened so far were quite excellent. 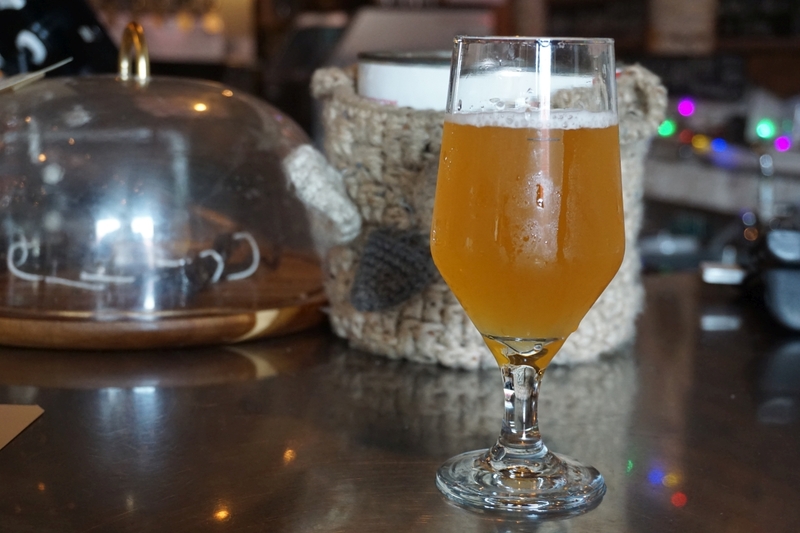 I finished with a low alcohol saison called Wee Nibble. The beer was dry and lightly herbal with hints of lemon and banana. It was a solid version of the style. 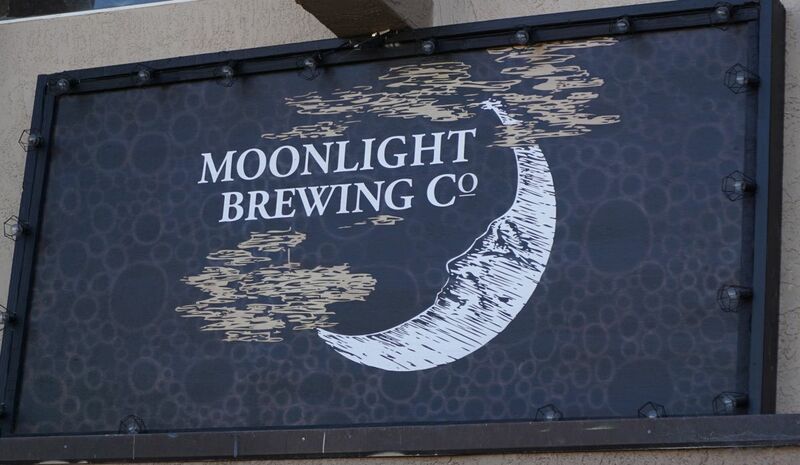 Moonlight seems to make some of the more traditional beers of the breweries I visited and so would make a good spot for someone to visit who is there for Russian River primarily. 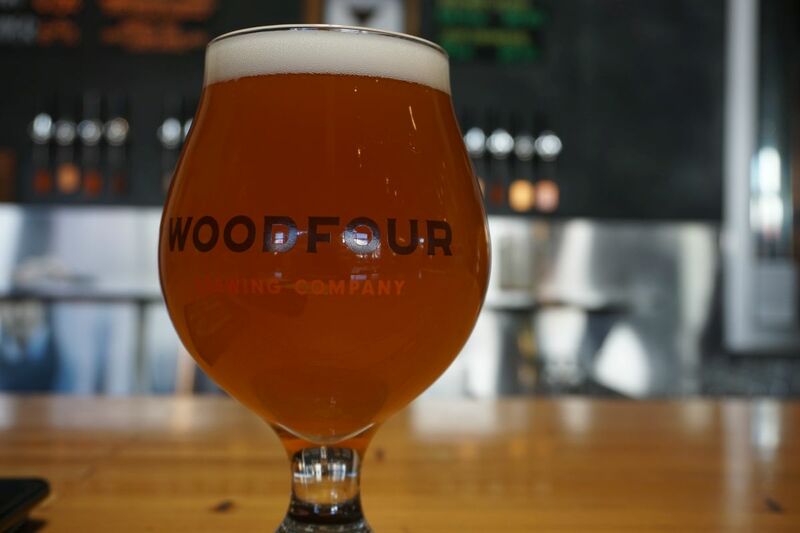 Before leaving town, we made our way to a brewery called woodfour, known for its barrel aged beers and sours. They have a spacious indoor seating area and large outdoor deck with covered seating. I started with their Berliner weisse, a beer that they spontaneously ferment. 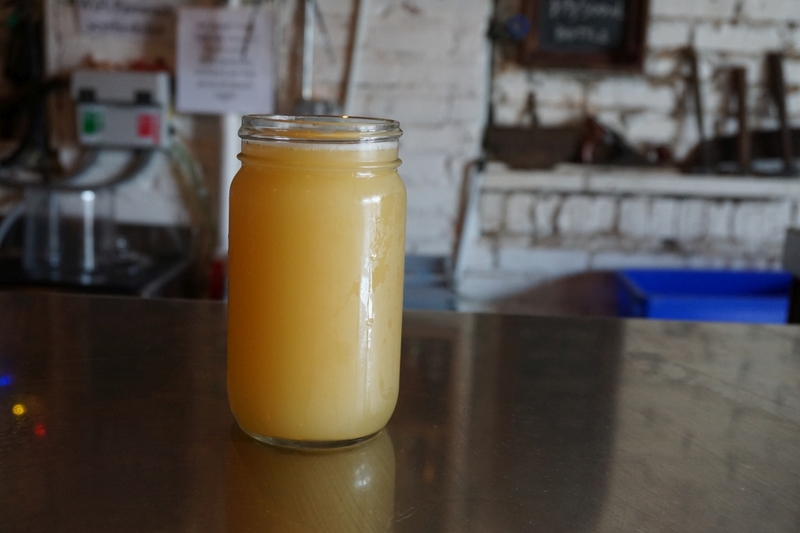 It was hazy yellow with subdued tartness and notes of peach and mild funk. If I had any room left in my suitcase, I would have bought some cans to bring home because it was quite excellent. Rather than having a version with fruit added, they offer you to order the beer with syrup although I prefer to drink plain. Next was there wild Saison called Brett mother. It was intensely funky with notes of acorns, mild lemon, and grapefruit that comes out as it warms up. The first few sips took some getting used to but I grew to enjoy the beer before I finished the glass. 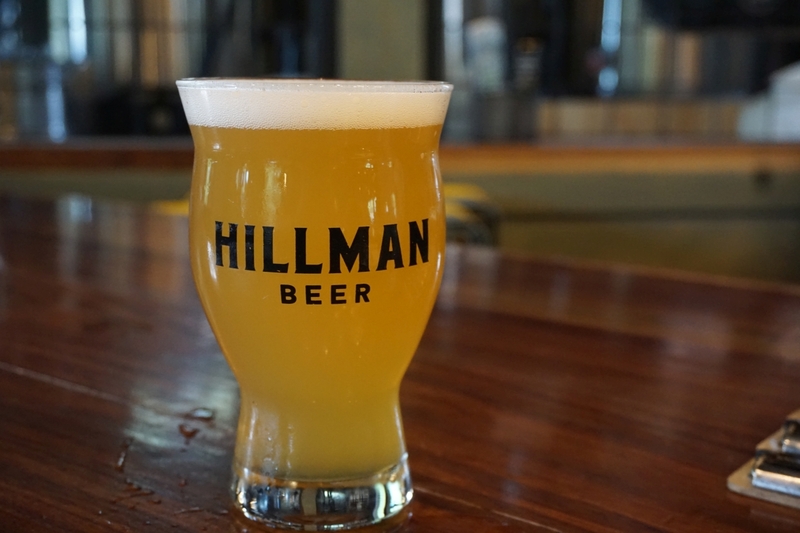 I finished with their sour farmhouse ale which was intensely tart with notes of green papaya and peach and as you get used to the beer the funky base comes through with notes of earthy malts and hints of acorns. I don’t know if it was this particular beer or the fact that I was drinking three sour beers in a row, but I was unable to finish my third beer. I think perhaps their house yeast didn’t agree with my stomach in such large quantities. 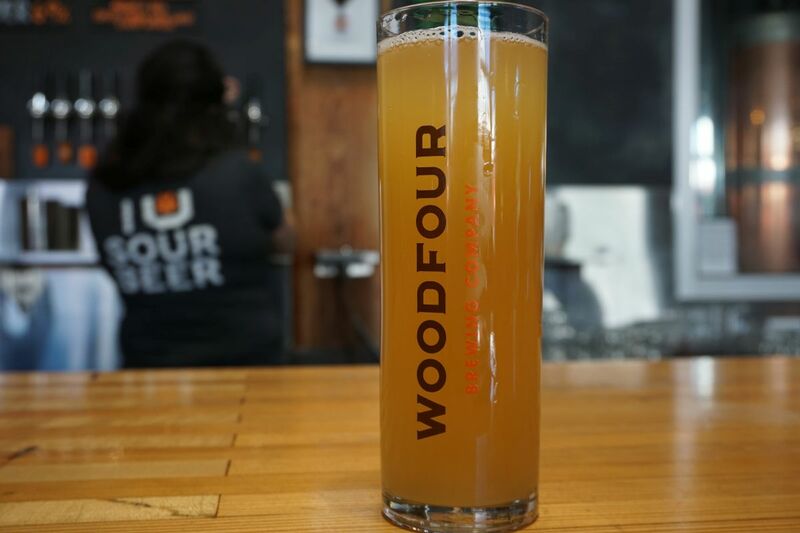 Woodfour has a special style slightly different from other sour breweries out there so it’s hard to compare them to my favorites. They certainly have achieved a nice house yeast flavor that is distinguishable between their sours. They also had a lovely dark lager with coffee that my husband enjoyed while he was there. 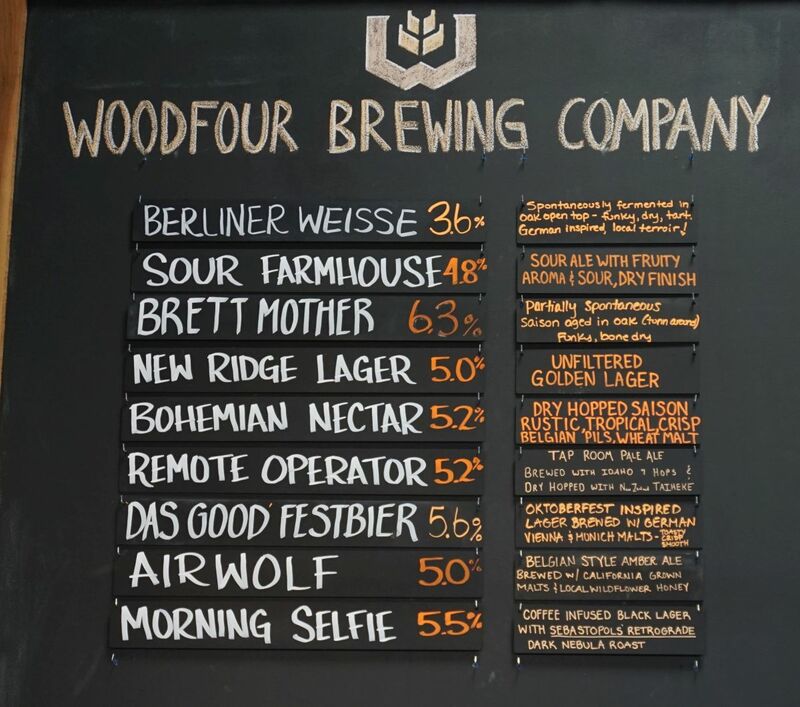 Visit Woodfour if you are interested in trying some unique sour and funky beers. 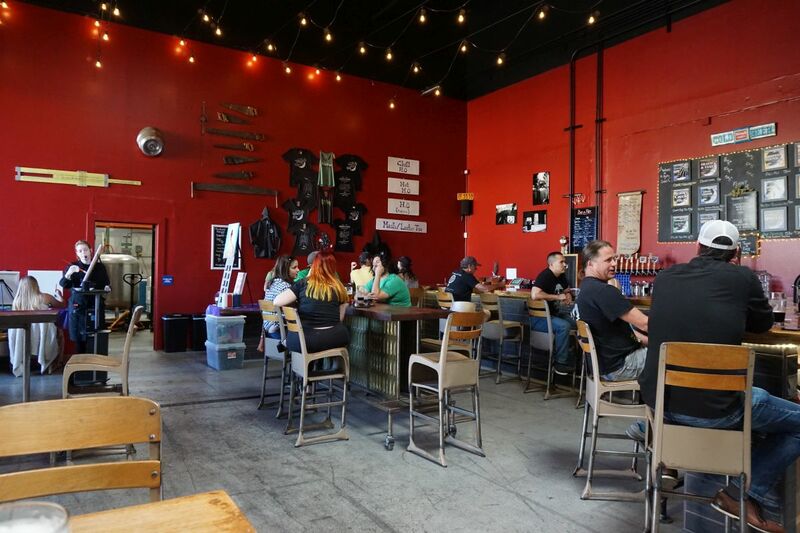 It is common for people to take a trip to Russian River brewery in the Santa Rosa area. 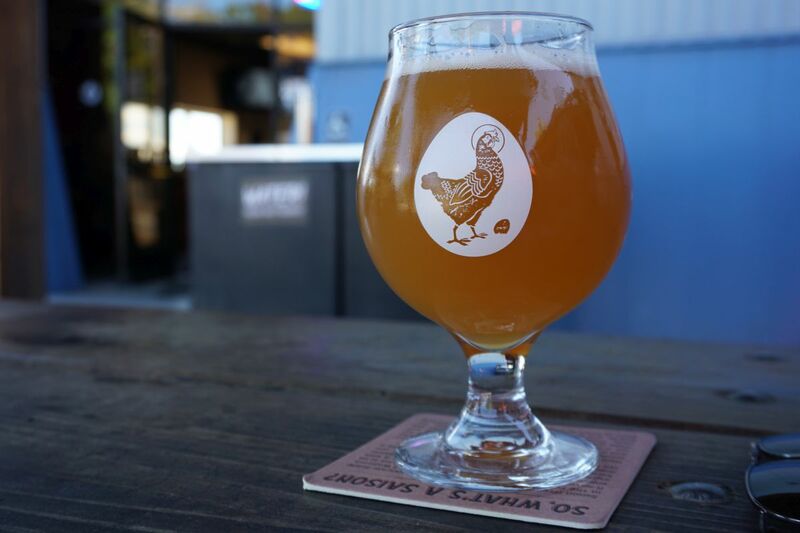 Most people will go just for that one brewery but there are many others around that are worth visiting in their own right or stopping by if you don’t feel like waiting for a table at Russian River. 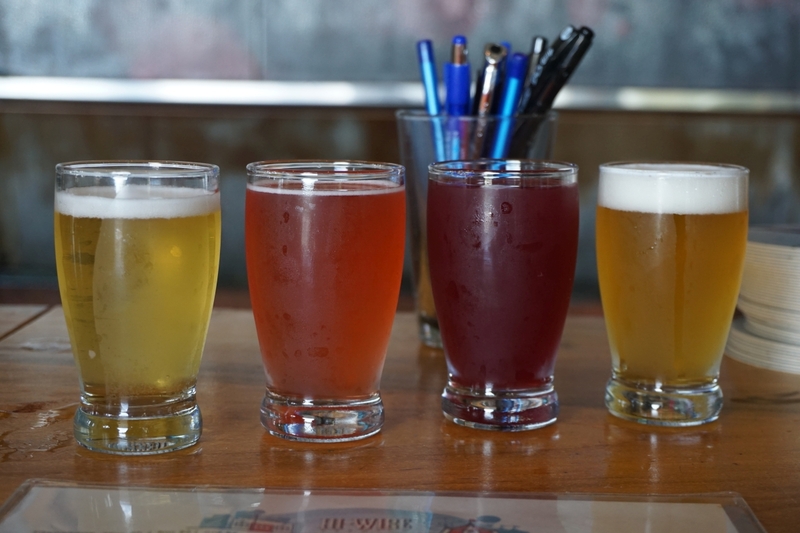 I decided to make a trip to the Santa Rosa area to visit these breweries and see which ones stand out to me. Shortly after landing, I stopped by Fogbelt brewery. It was quite noisy inside as is typical for Friday nights at breweries. Their pricing made sense to order pints because it was five or six dollars a pint as opposed to two or three dollars a taster. I started with their wet hop Redwood Hill IPA. The beer had a copper color with earthy and piney hops nicely balanced with a malt base and medium lingering bitterness. It reminded me of a slightly more resinous version of blind pig and Russian River. Notes of orange blossom come through as it warms up. I ended with a dark sour called Methuselah that was nicely balanced with notes of caramel and raisins with a smooth oaky finish and hints of red wine, cherry, and dates. Before I left I noticed they had some Carolina reaper hot sauce, hot sauce made with one of the spicy is peppers on the planet. When I asked for a taste, they brought me a chip and a little bit of hot sauce and it was delightfully flavorful and spicy such that I left with two bottles. If you are a fan of extremely spicy hot sauces, make sure you stop by just for that. This hot sauce has become part of my regular rotation at home and I’m glad I got two. 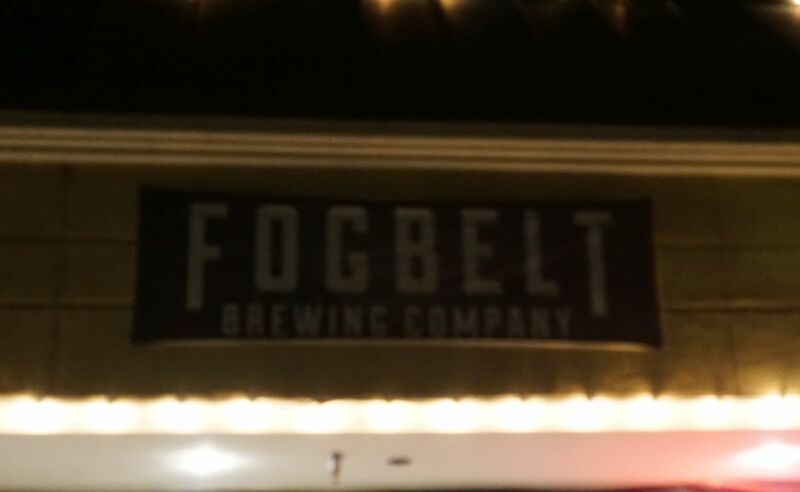 If you are not a fan of noisy breweries, I would suggest avoiding fog belt on Friday nights. They also came highly recommended for their food, although I did not try any because our flight was delayed quite a bit and we arrived after having already eaten. Fogbelt is worth a stop if you enjoy more traditional approach to your hoppy beers, which I expect you do if you are in town for Russian River. 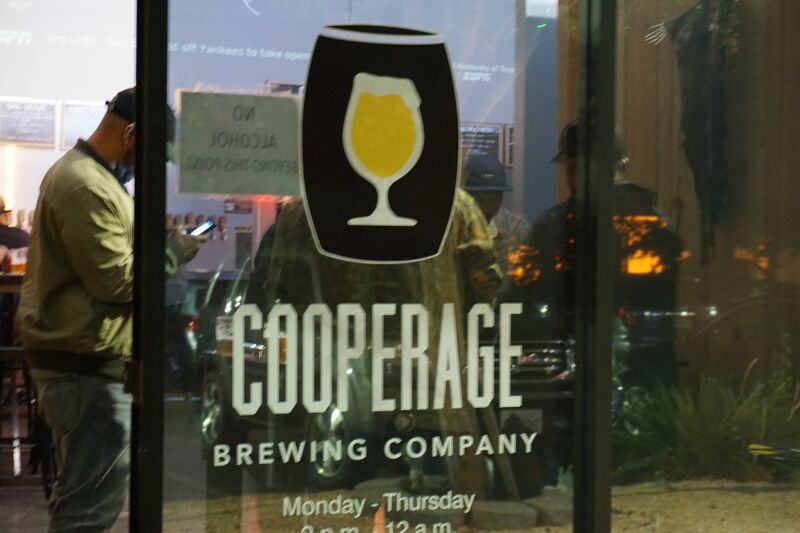 After fogbelt, we went straight to cooperage brewery. They had a more open feel and dispersed the sound a bit better. Their templates seem to be almost exclusively hoppy beer focused. This should have suggested that I may not enjoy the English mild but I went for it anyways to start. 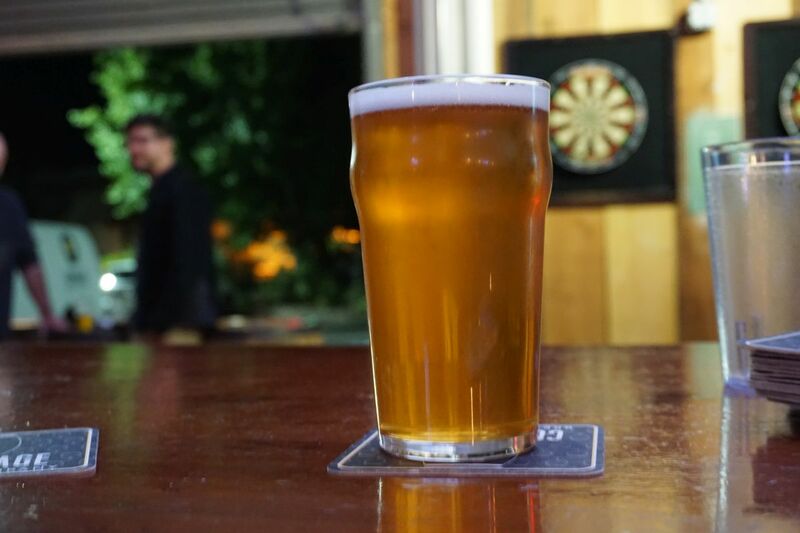 The English mild on tap was dry with notes of acorns and mild smoke. The beer was fairly lacking in flavor for the style and not impressive compared to others I’ve had recently. I finished with the beer called Wookie of the year IPA. It was excellently balanced with tons of hope aroma and notes of resin, lemon, and light pine. The beer had a soft mouth feel with mild bitterness on the finish. 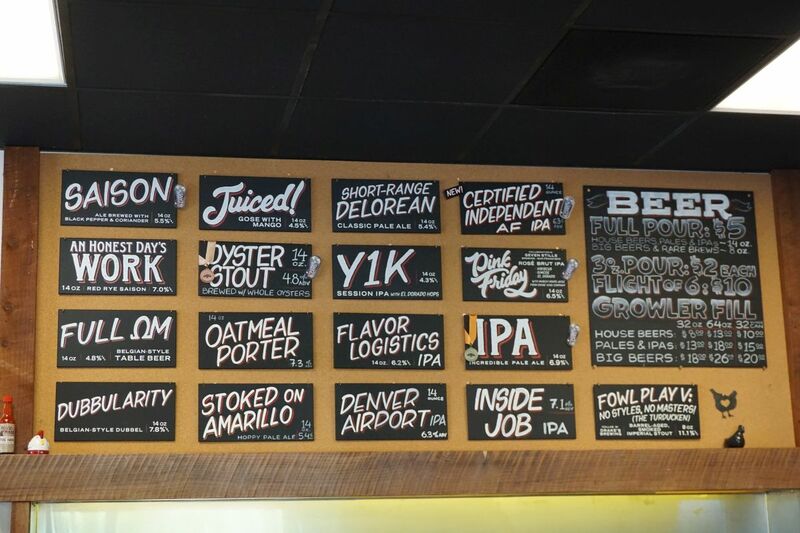 This is a good spot to come visit if you are looking for more IPAs. In my travels I have learned that not everyone has the time or inclination to venture outside of the downtown area. 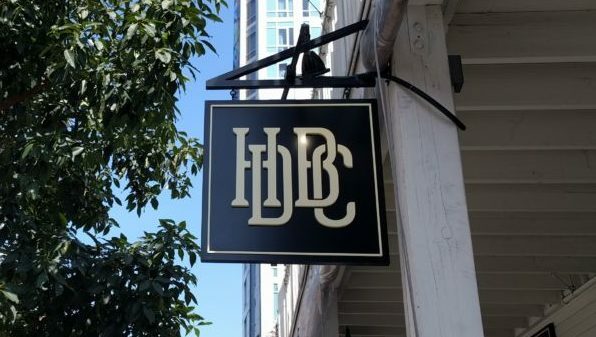 Thankfully Downtown San Diego has seen a lot of new spots opening in the last few years making that a good option while still giving you a good taste of what San Diego has to offer. 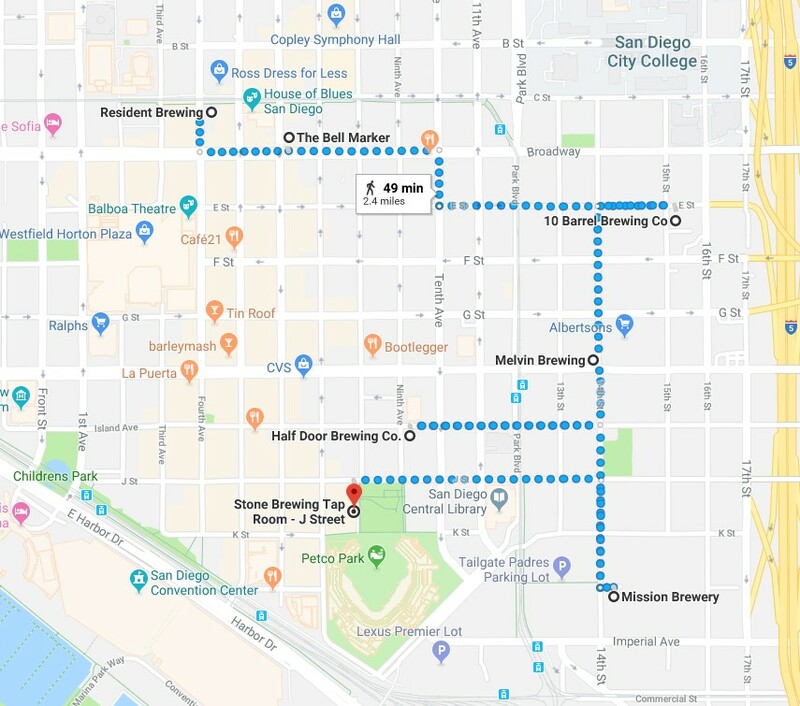 Without even leaving the downtown area, you can easily access three of San Diego’s biggest and most established breweries, Ballast Point, Stone, and Karl Strauss. Stone’s tasting room is a bit more difficult to notice as you walk by but once you are inside you won’t want to leave. 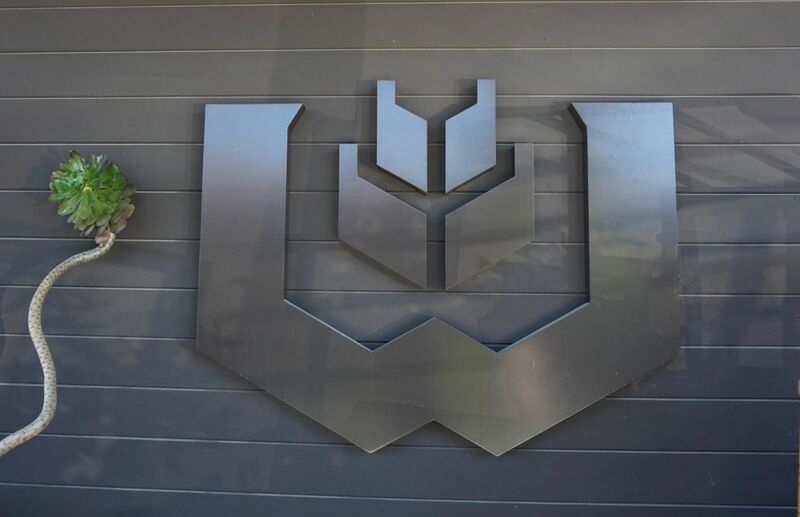 I suggest visiting Stone’s smaller company store locations anyway over their restaurants because the beers are slightly cheaper and you can still try most of the beers. Some people may have written off Ballast Point after their sale to the wine distributor Constellation but if that doesn’t bother you, their Little Italy location is large and serves food. Not far from there is Bolt’s satellite tasting room though I suggest you skip that as there are better options. There is also a Mikkeller tasting room somewhere around here but I have not managed to visit yet. Karl Strauss’ original location is in the heart of Downtown and is a spot I go to regularly for lunch. The food is excellent including vegan options and the beers have evolved nicely with the times. 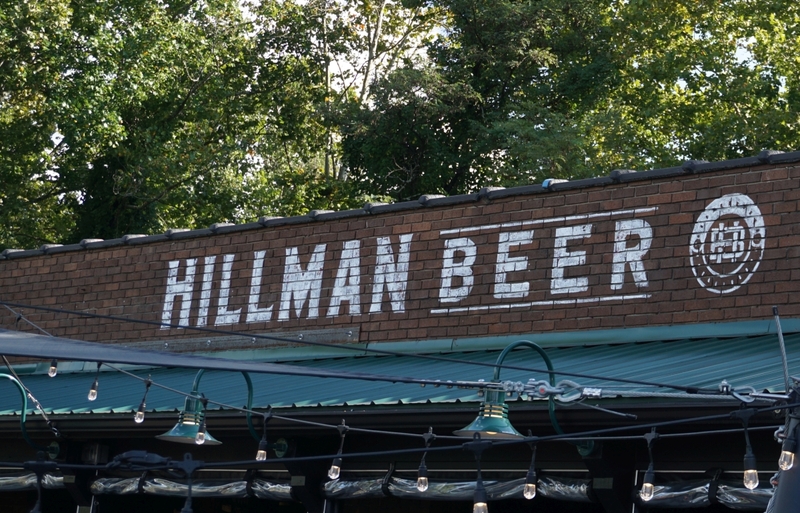 They still brew their standard Red Trolley and delicious Heffeweizen along with a lineup of hoppy beers. They are a brewery tourists tend to overlook for the more shiny spots but you can’t go wrong with their beer. 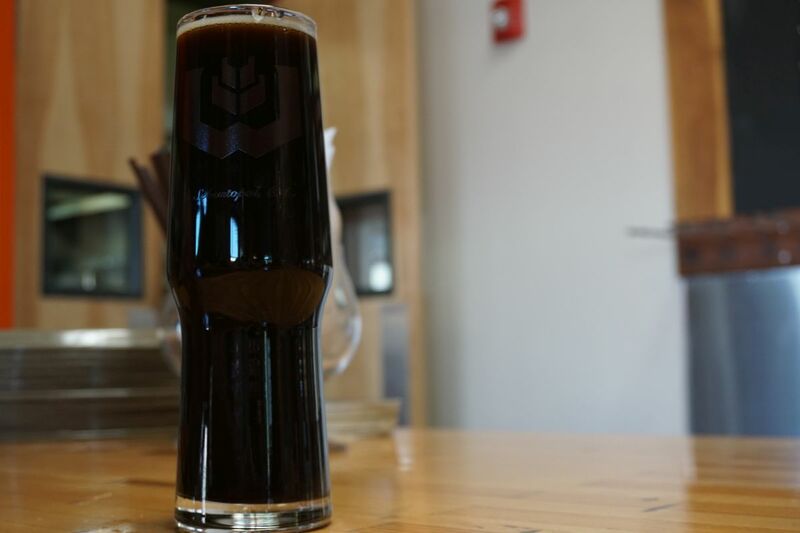 Other spots you can visit downtown include Resident Brewing, The Bell Marker, Half Door Brewing, and the newly opened 10 Barrel Brewing and Melvin Brewing. Resident is located inside the neighborhood bar called The Local. 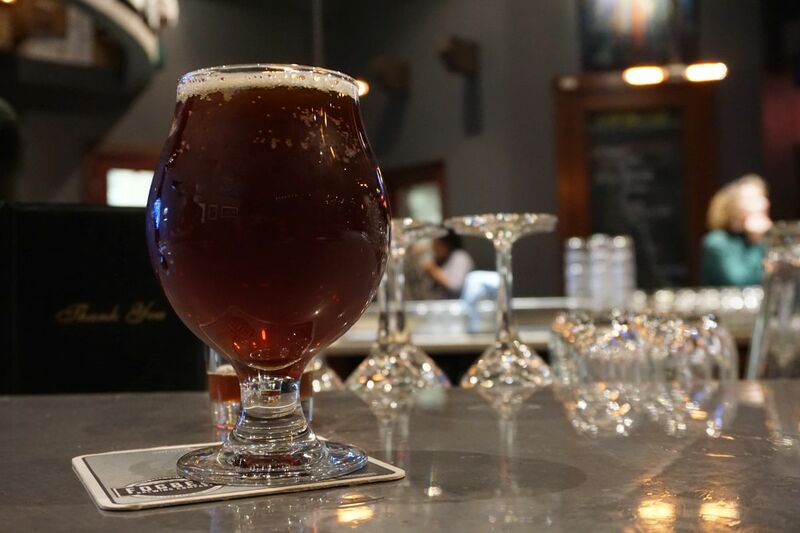 They have a wide variety of house beers along with a full bar and guest taps. The food is excellent and while it is not listed on the menu they have a few vegan options. 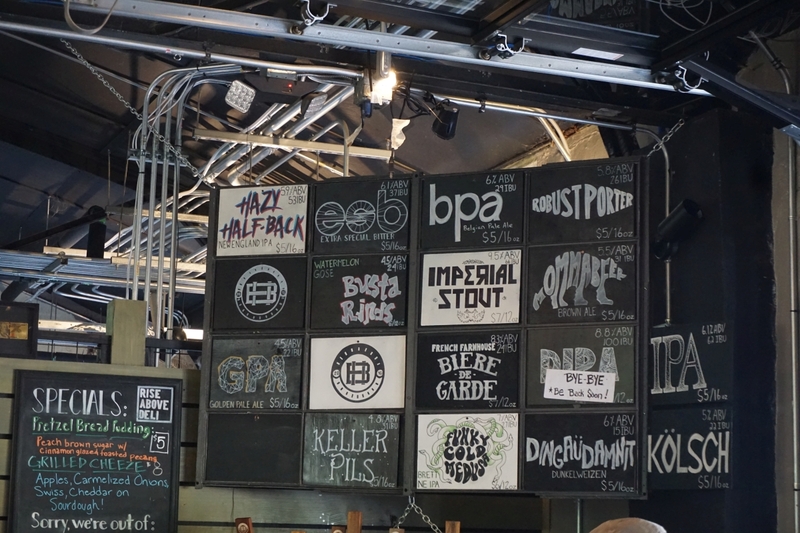 Half Door has not impressed me as much with their food but they have a good variety of hazy IPAs and also some excellent Belgian styles and stouts. They will finally be able to sell growlers and crowlers sometime in January 2019 with a new change to the law. Mission Brewery is near Half Door but I haven’t visited in years and don’t recommend it. Stone also has a small company store location near the ball park if you are in that area. I have never visited. 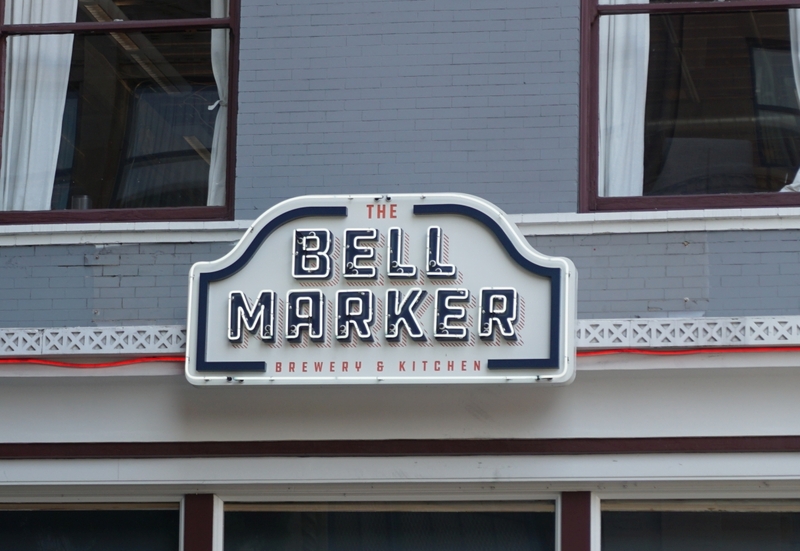 The Bell Marker recently opened with beers made by an ex- Pizza Port brewer and featuring an excellent variety of food including tons of vegan options. I have only ordered their hummus plate, which is an amazing deal during happy hour. I found their IPAs too bitter for my tastes but I quite enjoy their brown ale and other traditional styles. 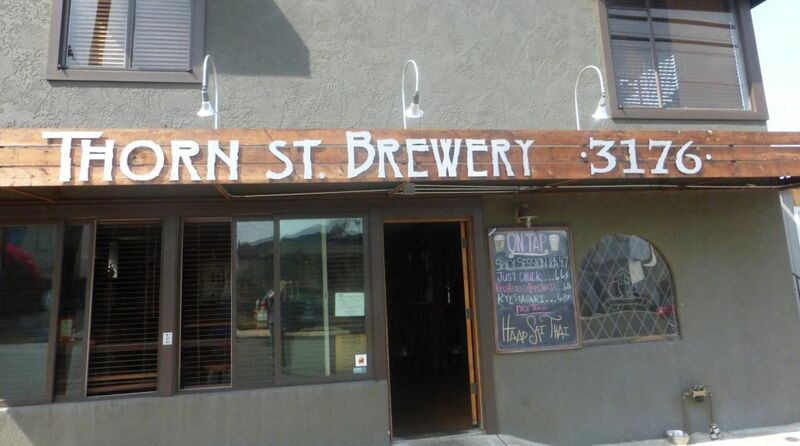 I have not yet made it out to 10 Barrel and just stopped by Melvin for the first time recently but they both have brew houses so I included them in the list. 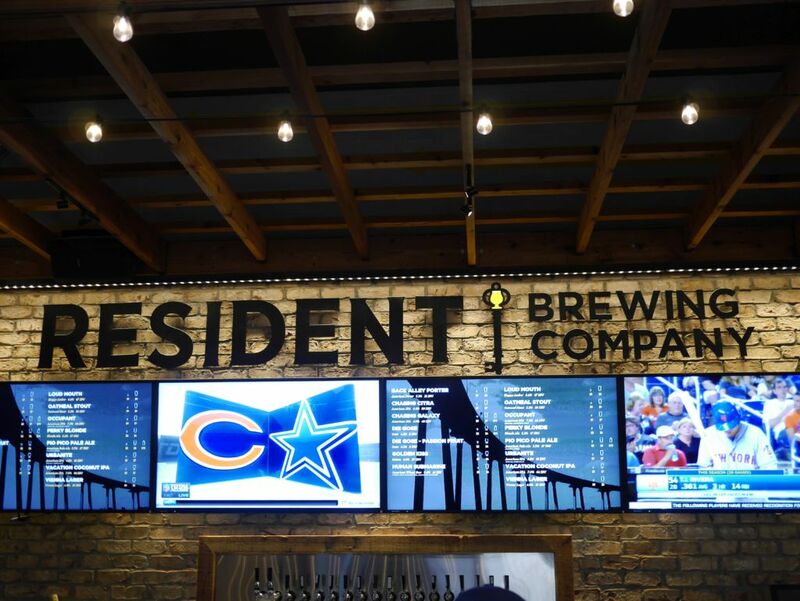 10 Barrel is owned by AB inBev (aka Budweiser’s parent company) and faced fierce opposition from locals, which is why I have never visited and don’t plan to. But if that doesn’t bother you, I hear the beer is solid. 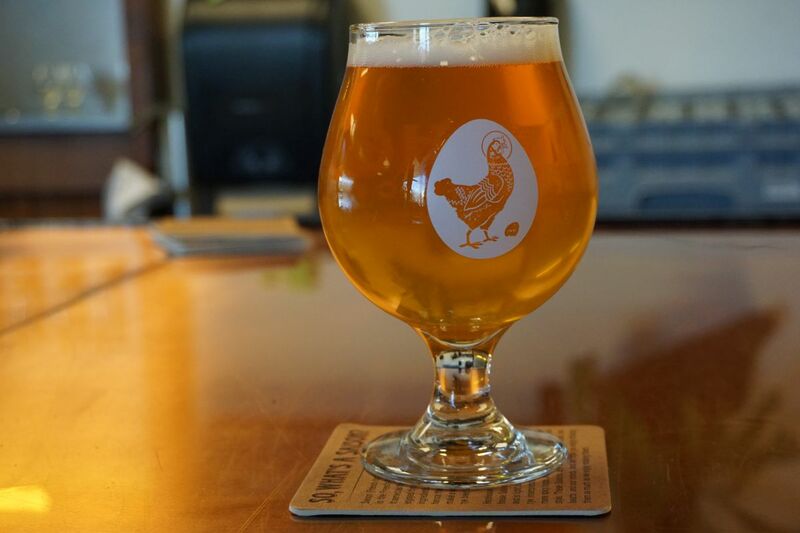 Melvin is a new location for a Wyoming brewery with a kung-fu and hip-hop vibe. 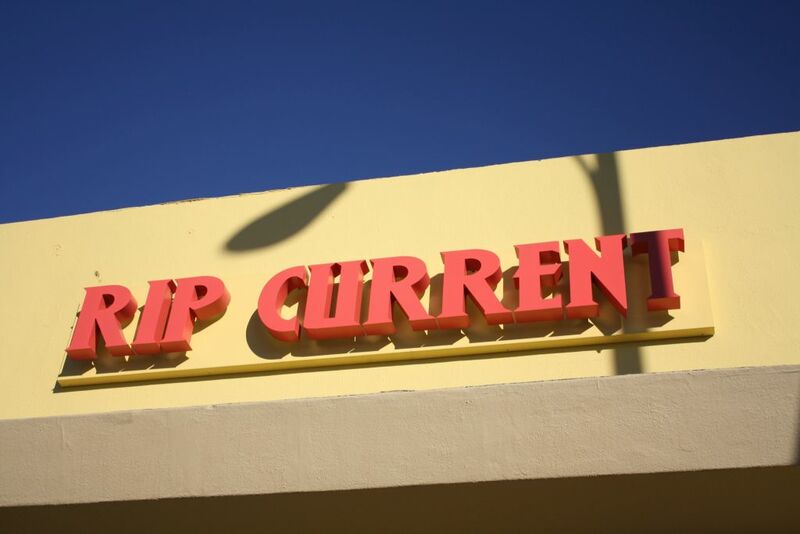 Expect hip hop playing at high volume when you visit. 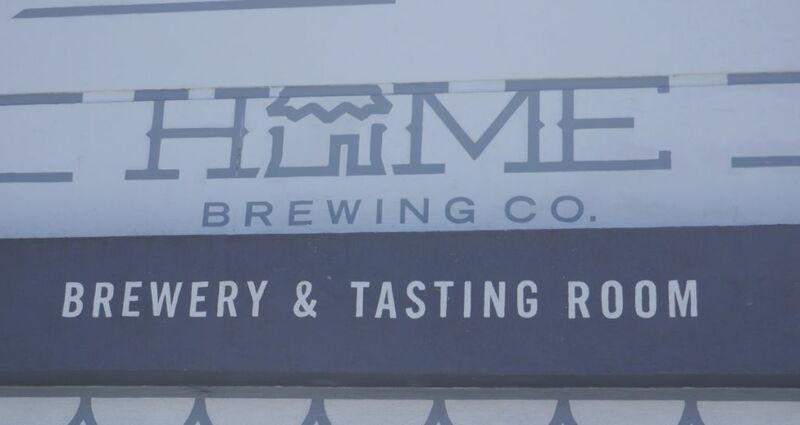 Their founding brewer got his start in San Diego and they added a brew house at this location making them a San Diego brewery. They are so new that I just visited there a few days ago my first time. 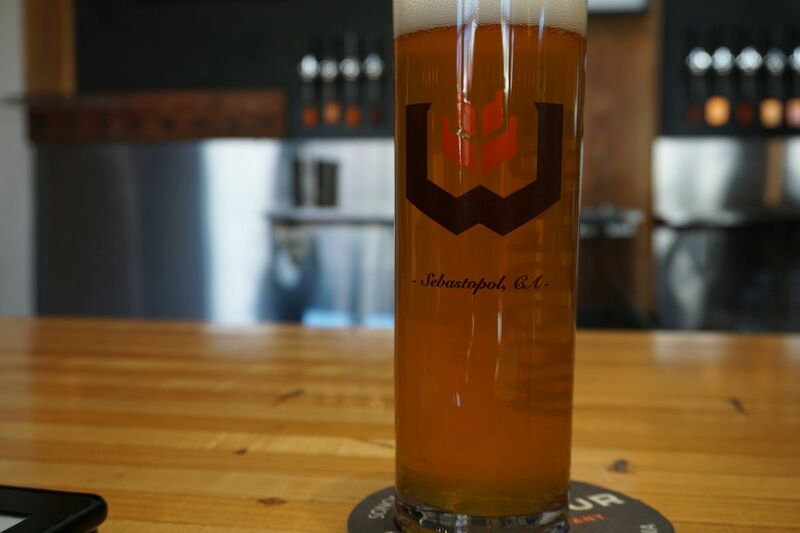 They focus on hoppy beers and serve Asian Fusion style food. Not far from these East Village location there are rumors that Little Miss plans to open a satellite tasting room as well sometime next year. Bay City has a new location in the works as well. 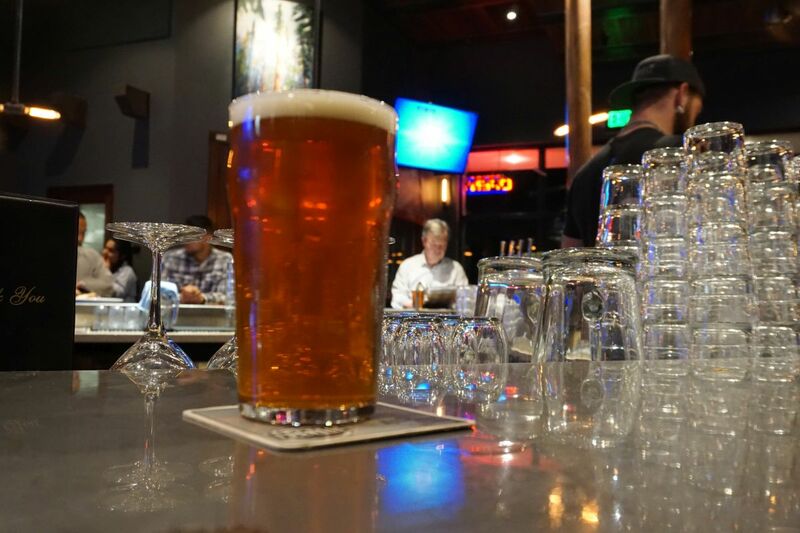 If you don’t mind taking an uber, it is not too far to head over to North Park, where you can visit 10 different breweries or Point Loma where you can visit Modern Times’ main location, Stone’s massive Liberty Station restaurant and Eppig’s waterfront beer hall. 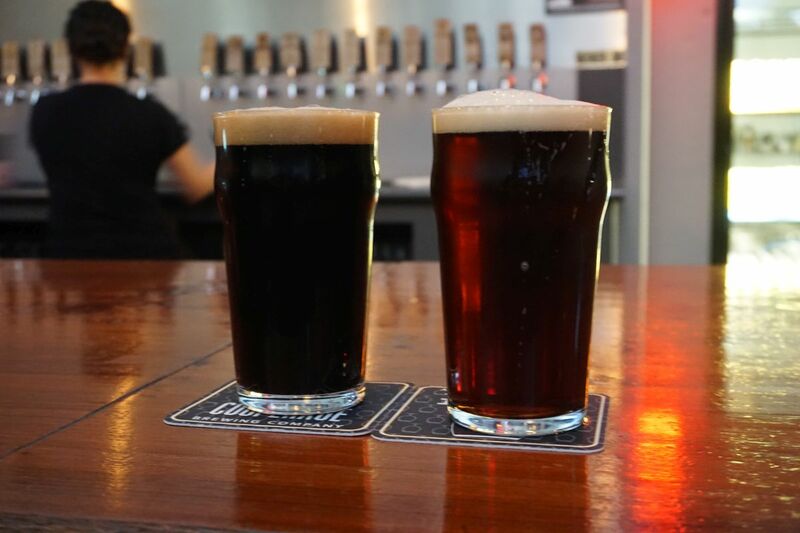 Those whose family drag them to visit the Hotel Del in Coronado should stop by Coronado brewing, one of the established breweries that I have not yet managed to visit. You could also venture down into Barrio Logan and visit Border X and Iron Fist. 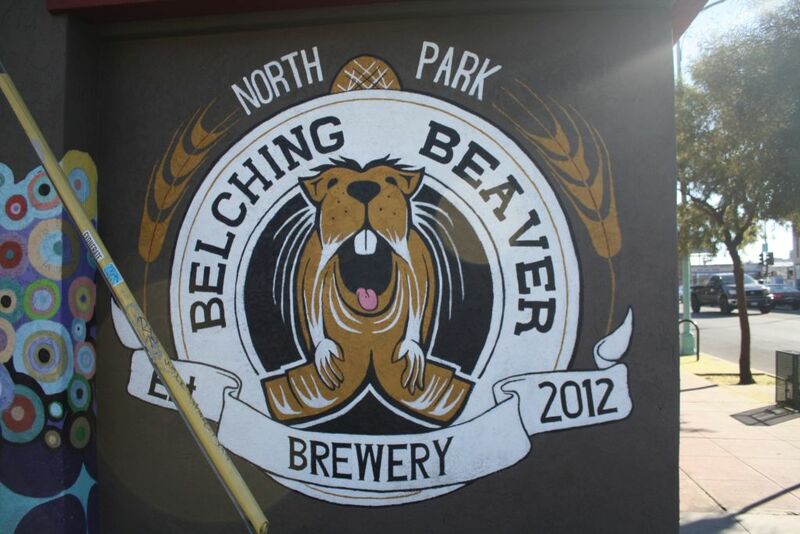 I will do a separate post on North Park breweries later but most of them are excellent and the staff at any of them will happily point you to the best ones nearby. 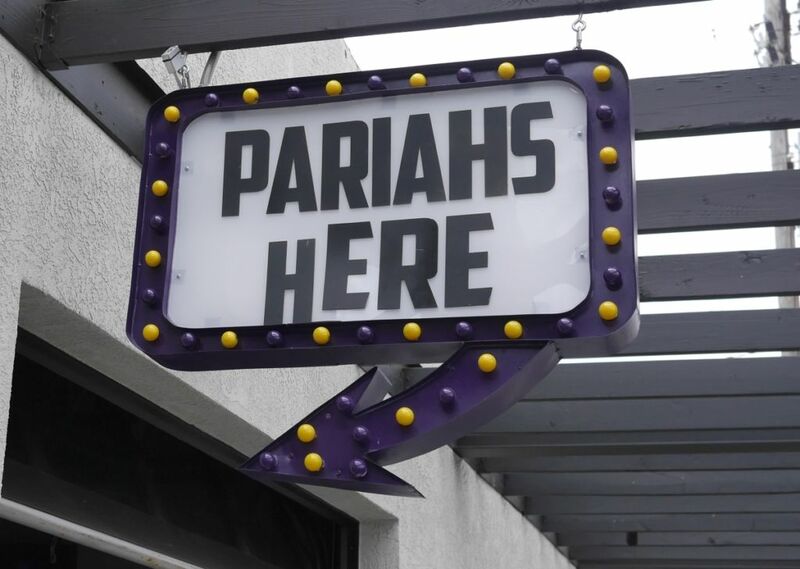 I didn’t include any mention of the numerous bars in the Gaslamp area mostly because I haven’t visited them. I also haven’t mentioned Monkey Paw because it is still unclear if they will re-open in some form after recent troubles. 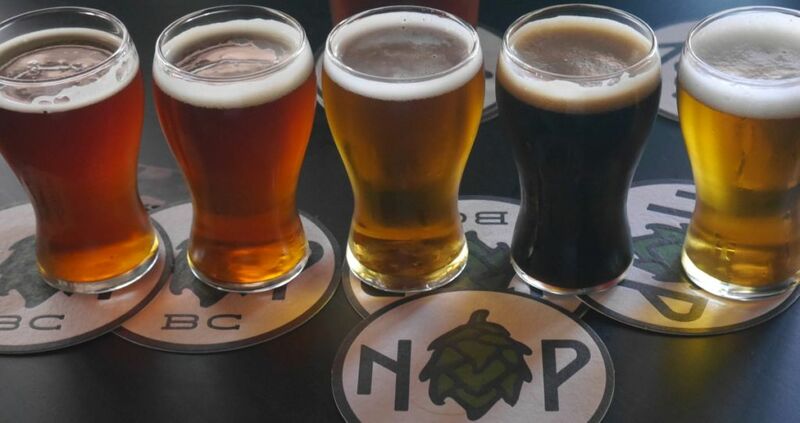 Rumors suggest that they will become a new location for South Norte, a brewery connected to Coronado brewing. I also missed a few newer spots that I hadn’t even noticed had opened that you can read about on my fellow beer blogger’s site Craft Beer in San Diego Contrary to his suggestions, I would personally avoid East Village all together and focus on Resident, Karl Strauss, and Stone, though Half Door is certainly worth a visit. Both Amplified and Duck Foot make good beer but I want to send you to places that make excellent beer. It also depends heavily on what styles you like to drink. Hi-Wire is known for their sour beers and after my visit this makes sense. They have a medium sized tasting room without air conditioning. I tried a flight and then moved on to the next stop. I started with their gose. It was funky on the nose and had a nice mix of tart lemon, kiwi, and light salt. While I could have gone for more funk, this was an excellent version of the style. Pink Drink was a nicely balanced berliner with raspberry and lemongrass. Raspberry was mild and worked nicely with the rest of the beer. Most of the flavors were quite subtle. The Brut IIPA was resinous and bursting with tangerine and peach hop aroma. The beer was flavorful and super dry, making it easy to drink despite high alcohol. The blueberry sour was fantastic and clearly inspired by the lambic tradition. It had tons of barrel character and strong funk. The beer was good and thick and not too tart with prominent blueberry. It was so good that I bought a bottle and bought another sour bottle without tasting it. 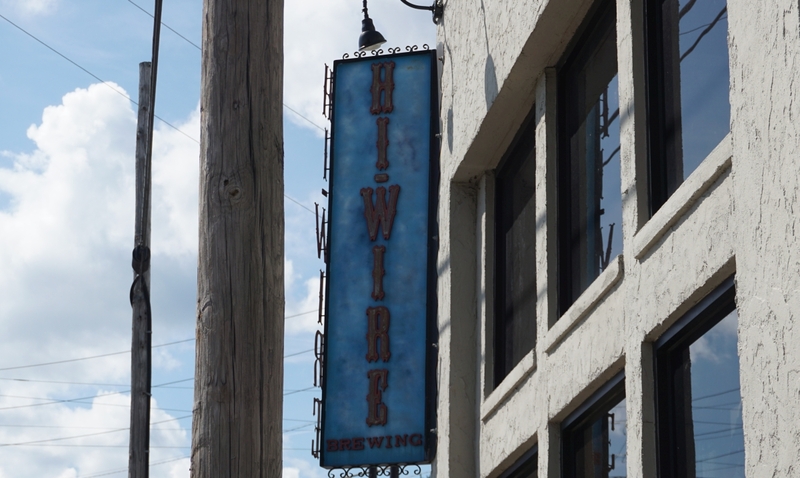 Hi-Wire has a huge variety of beer but it is best to visit for sour heads who are not interested in supporting Wicked Weed after they sold to AB InBev. Burial was the one stop on my Asheville trip that had some air conditioning. Because of the taster prices I stuck to full pours and tried only two beers. They have a nice dark vibe inside and it kept cool enough to be an improvement over other breweries around. I started with sword of crucifixion, a sour golden ale aged in barrels. The beer had a nice mix of buttery oak and mild funk, a solid complex sour. Waves Crash brett pale was hazy with notes of shrimp, citrus, and guava. It had a creamy body and mild funk though the fishy notes were prominent. 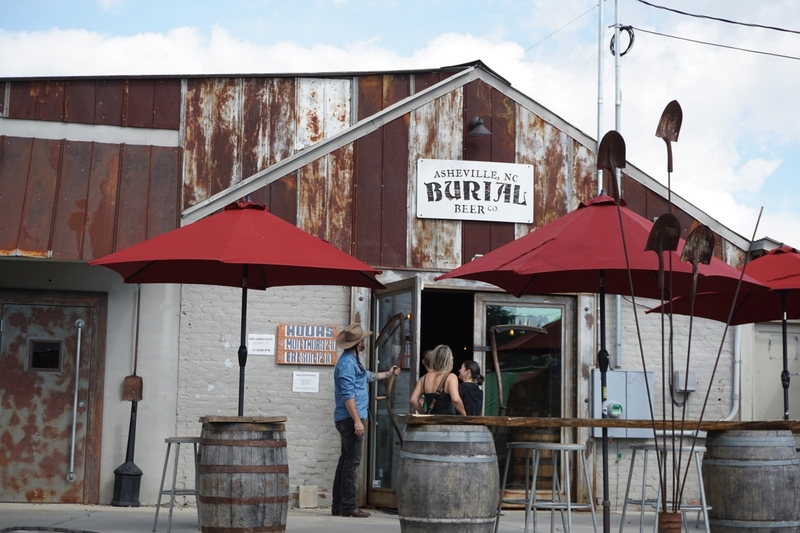 Burial is a great spot for funky brett beers and sours. They also have a good variety of other beers. I will be paying more attention to their bottles in San Diego now after the visit. 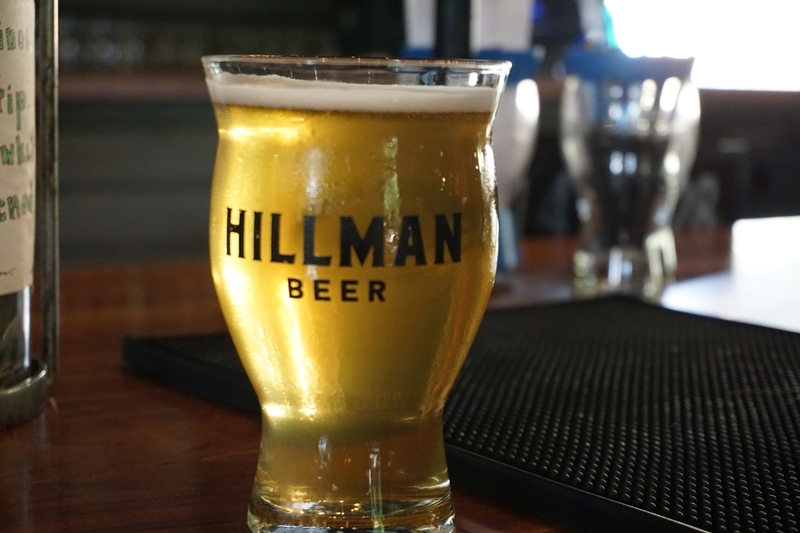 At Hillman I also stuck to full pours. They have a nice open area with tons of bar seating and other indoor seating. I started with the Keller Pils. 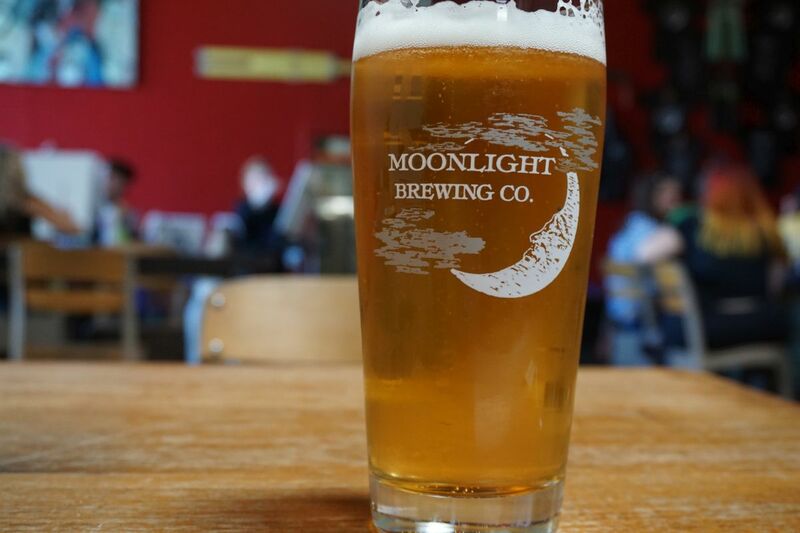 It was fantastic for the style with notes of crackers, crisp bread, and mildly hoppy. I finished with the hazy half back. It was fruity with notes of pineapple, tropical fruit, and citrus. A fantastic hazy palle creamy and dry but not overly sweet. Herbal hops come through as it warms up. 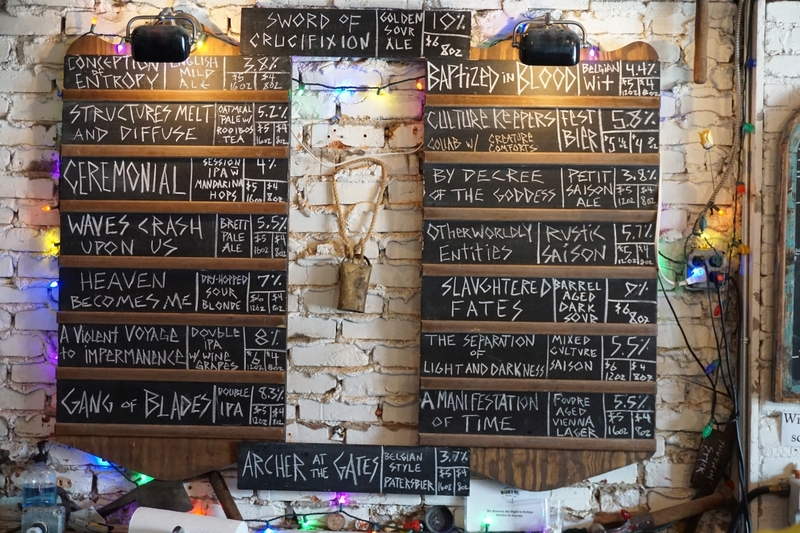 If you are a big fan of sour beer then it is worth taking a trip to Asheville for Hi-Wire and Burial. 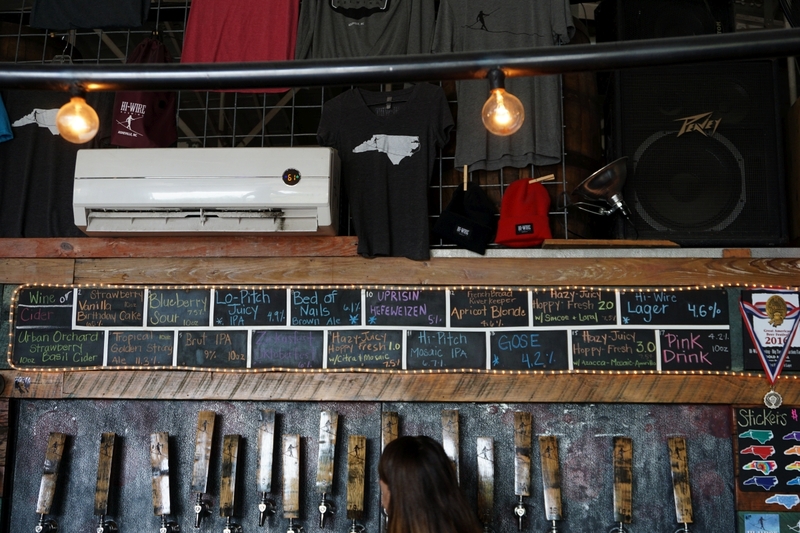 Though if you are more of an IPA fan, the beers in Charlotte are plenty good to satisfy you, especially Heist and Resident Culture. Charlotte is also much easier to get to.